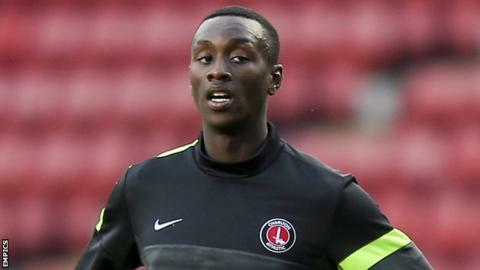 Dagenham & Redbridge have extended the loan stay of Charlton youngster Adebayo Azeez until the end of the season. The 20-year-old forward has scored two goals in 12 appearances since joining the Daggers in February. "I'm delighted we have managed to extend Azeez's loan," Dagenham manager Wayne Burnett told the club website. "I think all the loan players have been invaluable to us this season and what they have done is a credit to themselves as well as their clubs." Azeez, who has made one senior appearances for the Addicks, scored two goals in 10 games during a spell at Torquay earlier in the campaign.